Providing you the best range of national - babylon rocking chair, baby rocker and kids plastic chairs with effective & timely delivery. There is something truly luxurious about rocking chairs. There are very few types of furniture created with sense of relaxation and stress release, one of them is rocking chairs. Our range of modern rocking chairs design adds a touch of warmth and style to any room and come in elegant styles and designs. Fabricated out of wooden, leather, plastic, cane rocking chairs, these chairs guarantee superior comfort and render a lively and contemporary feel to your still rooms. 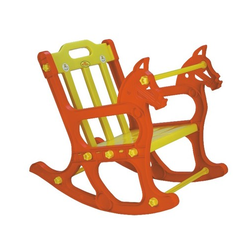 We advance a dumbfounding scope of Baby Rocker that is generally interest for their solidness and unwavering quality and is widely utilized as a part of parks, play schools and other kid's zone. Offered rocker is produced utilizing excellent crude material and bleeding edge engineering. The gave rocker is kept an eye on different stages by our quality examiners according to set industry principles. Furthermore, we give this rocker in different detail to provide food the interest of our regarded customers. 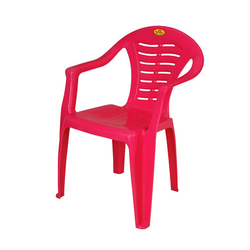 With firm commitment to quality, we are manufacturing, supplying and exporting a comprehensive range of Kids Plastic Chairs. This chair is designed and fabricated at our wide production unit, utilizing high quality plastic following industry set guidelines. This product is widely demanded by the customers for its durable finish standards. Clients can avail these products at competitive prices in varied specifications.